With the advent of advances in machine learning and the availability of platforms like Watson and Azure M/L, research efforts pursuing Semantic Web have now set a more ambitious goal, aka cognitive computing. Cognition is founded upon semantics. Without proper orientation or understanding, cognition is not plausible. With many advances in Machine Learning, AI, NLP and voice recognition, synthesizing technologies, and Siri, it is now possible to construct practical applications of cognitive computing. At the Tandon School of Engineering, we are attempting to engineer effective and illustrative cognitive assistants. The principal objective is to find ways to leverage all the information available over the internet without taxing our cognitive abilities. We envision consulting the internet rather than browsing the internet. Under our proposal, the internet will grow as it does today - with no change to how information is added or maintained. We maintain value added information connecting the dots and a semantically consistent view of the world. Our interactions will be of a higher order and to the point and not brittle and overwhelming as it is today. 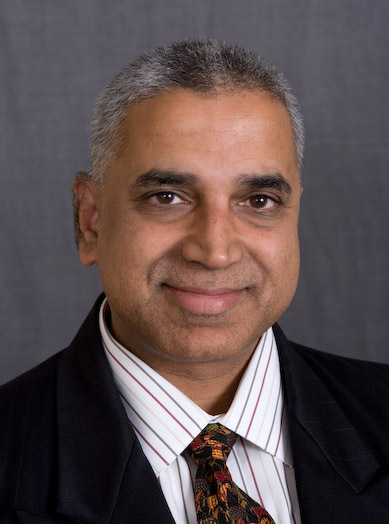 Raman Kannan is a an experienced technology practitioner in the Financial Services domain and an avid academic. Raman is a thinker and doer. Raman is passionate about teaching empirical subjects including Data Management, Analysis, Learning, Architecture and Innovation. He is a Columbia Business School alum with a Ph.D in Physics (WVU). Raman has held numerous positions with various MNCs in Financial Services, and currently he is consulting for a Derivatives Processing Group. Distributed Computing, Machine Learning, Distributed AI, Semantic Web and Cognitive Computing are some of his research interests.